Each of these large, iconic artifacts anchors a wing of the Museum and highlights key themes of the exhibitions in that wing. 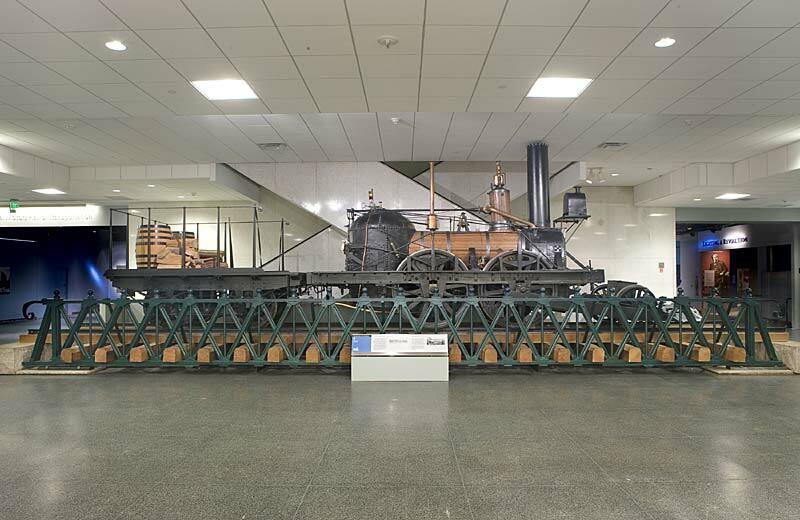 This landmark object -- the John Bull Locomotive -- identifies the transportation and technology wing of the museum. On view is the steam locomotive John Bull and a section of the first iron railroad bridge in America. The steam locomotive John Bull was built in 1831 and ran for 35 years, pulling trains of passengers and cargo between the two largest cities of the time, Philadelphia and New York. The locomotive propelled trains at 25 to 30 miles per hour. The John Bull, which was ordered from England by Robert Stevens for his railroad company, was named after the mythical gentleman who symbolized England. It was assembled by Isaac Dripps, a young steamboat mechanic who had never seen a locomotive before. 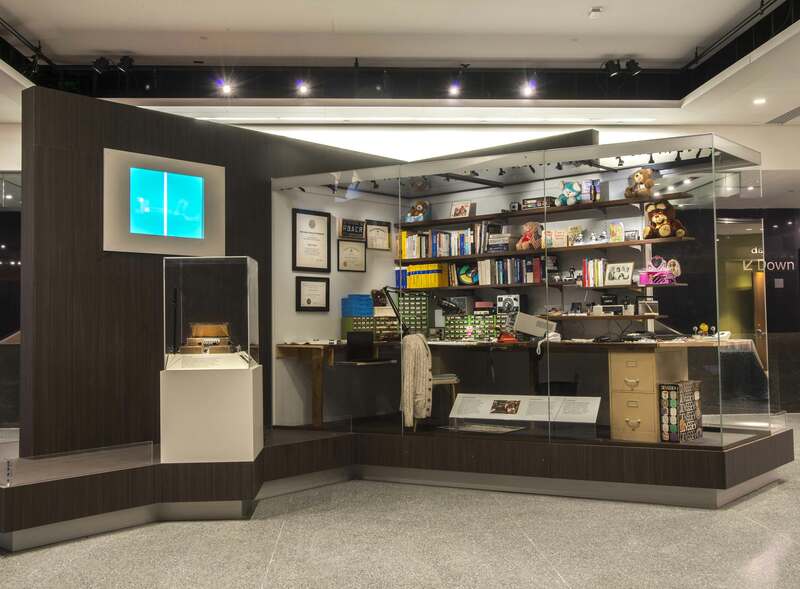 The gateway to the Innovation wing is anchored by the home workshop of inventor Ralph Baer, known as the father of the video game. 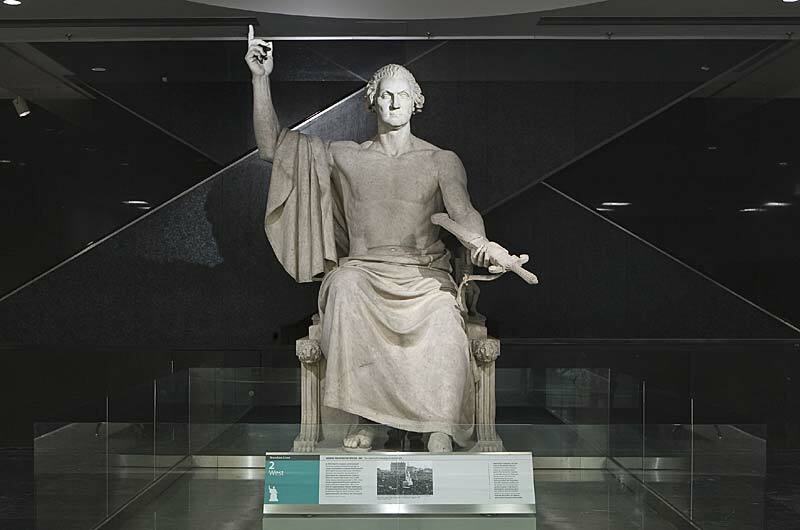 This landmark object -- the George Washington Sculpture -- identifies the American lives wing of the museum. 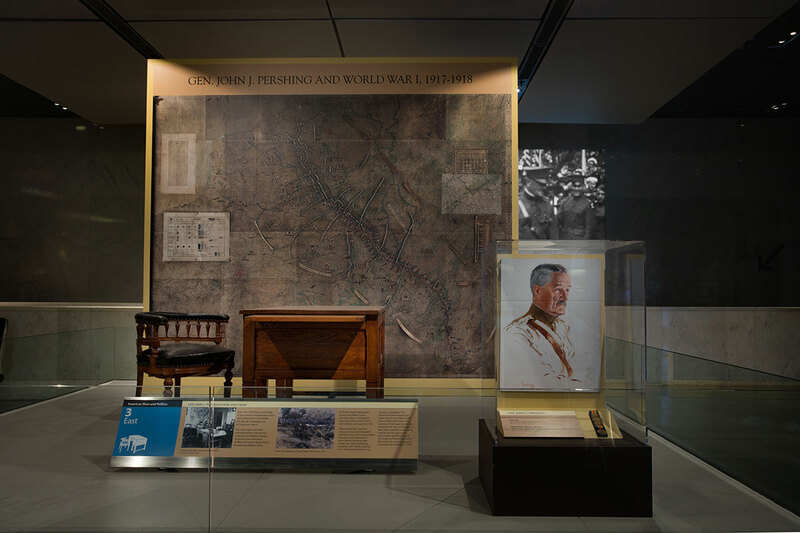 This landmark object -- General John J. Pershing's Desk -- identifies the American wars and politics wing of the museum.